Dr. Elizabeth Anne Montgomery is a professor of pathology, oncology and orthopaedic surgery at the Johns Hopkins School of Medicine. 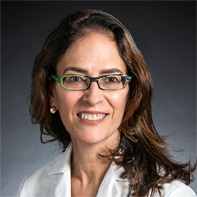 She specializes in gastrointestinal pathology and the treatment of bone and soft tissue tumors and reviews biopsy specimens from patients at Johns Hopkins and from around the world. Dr. Montgomery completed her M.D. degree at George Washington University in 1984. Following her pathology residency at Walter Reed Army Medical Center, she served at the Armed Forces Institute of Pathology until 1992, whereupon she joined the staff at Georgetown University with joint appointments in Pathology and Gastroenterology. She has been on the Johns Hopkins faculty since 1999. Her research interests include several topics in gastrointestinal pathology, especially Barrett esophagus. Additionally, she has studied soft tissue pathology including telomeres in translocation-associated sarcomas compared to chromosome unstable types. She is board certified in anatomic pathology, clinical pathology and cytopathology. She is an author of many scholarly publications on gastrointestinal and esophageal pathology and has lectured nationally and internationally on these topics.